The latest punishment of Gaza may seem like another familiar plot to humiliate the strip to the satisfaction of Israel, Mahmoud Abbas’s Palestinian Authority, and the military-controlled Egyptian government. But something far more sinister is brewing. 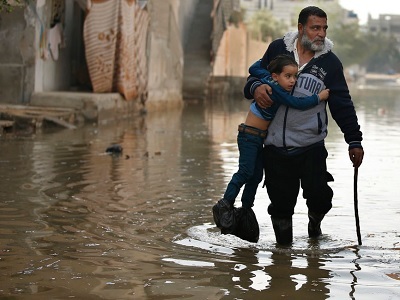 This time, the collective punishment of Gaza arrives in the form of raw sewage that is flooding many neighborhoods across the impoverished and energy-chocked region of 360 km2 (139 sq mi) and 1.8 million inhabitants. Even before the latest crisis resulting from a severe shortage of electricity and diesel fuel that is usually smuggled through Egypt, Gaza was rendered gradually uninhabitable. A comprehensive UN report last year said that if no urgent action were taken, Gaza would be ‘unlivable’ by 2020. Since the report was issued in August 2012, the situation has grown much worse. Over the years, especially since the tightening by Israel of the Gaza siege in 2007, the world has become accustomed to two realities: the ongoing multiparty scheme to weaken and defeat Hamas in Gaza, and Gaza’s astonishing ability to withstand the inhumane punishment of an ongoing siege, blockade and war. Two infamous wars illustrate this idea: The first is Israel’s 22-day war of 2008-9 (killing over 1,400 Palestinians and wounding over 5,500 more) and the second is its more recent war of Nov 2012 – eight days of fighting that killed 167 Palestinians and six Israelis. In the second war, Egypt’s first democratically-elected president Mohammed Morsi was still in power. For the first time in many years, Egypt sided with Palestinians. Because of this and stiff Palestinian resistance in Gaza, the strip miraculously prevailed. Gaza celebrated its victory, and Israel remained somewhat at bay – while of course, mostly failing to honor its side of the Cairo-brokered agreement of easing Gaza’s economic hardship. In relative terms, things seemed to be looking up for Gaza. The Rafah border crossing between Gaza and Egypt was largely opened, and both Egypt and the Hamas governments were in constant discussions regarding finding a sustainable economic solution to Gaza’s many woes. 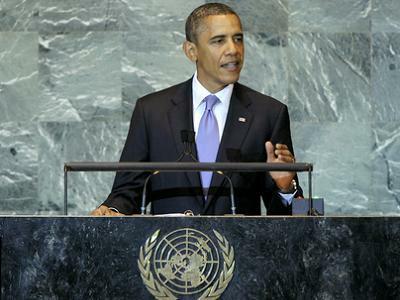 But the ousting by General Abdel Fatah al-Sisi of President Morsi on July 3 changed all of that. The Egyptian military cracked down with vengeance by shutting down the border crossing and destroying 90-95 percent of all tunnels, which served as Gaza’s main lifeline and allowed it to withstand the Israeli siege. Hopes were shattered quickly, and Gaza’s situation worsened like never before. Naturally, Cairo found in Ramallah a willing ally who never ceased colluding with Israel in order to ensure that their Hamas rivals were punished, along with the population of the strip. Citing Gaza officials, the New York Times reported on Nov 21 that 13 sewerage stations in the Gaza Strip have either overflowed or are close to overflowing, and 3.5 million cubic feet of raw sewage find their way to the Mediterranean Sea on a daily basis. “The sanitation department may soon no longer be able to pump drinking water to Gaza homes,” it reported. Farid Ashour, the Director of sanitation at the Gaza Coastal Municipalities Water Utilities, told the times that the situation is ‘disastrous’. “We haven’t faced a situation as dangerous as this time,” he said. But the situation doesn’t have to be as dangerous or disastrous as it currently is. It has in fact been engineered to be that way. Gaza’s only power plant has been a top priority target for Israeli warplanes for years. In 2006 it was destroyed in an Israeli airstrike, to be opened a year later, only to be destroyed again. And although it was barely at full capacity when it operated last, it continued to supply Gaza with 30 percent of its electricity needs of 400 megawatts. 120 megawatts came through Israel, and nearly 30 megawatts came through Egypt. The total fell short from Gaza’s basic needs, but somehow Gaza subsisted. Following the ousting of Morsi and the Egyptian military crackdown, the shortage now stands at 65 percent of the total. Israelis on the other hand, have been doing just fine since the last military encounter with Hamas. “The past year was a great one,” the Economist quoted the commander of Israel’s division that ‘watches’ Gaza, Brigadier Michael Edelstein. Due to the massive drop in the number of rockets fired from Gaza in retaliation to Israeli attacks and continued siege (50 rockets this year, compared to 1500 last year), “children in Israel’s border towns can sleep in their beds, not in shelters, and no longer go to school in armored buses,” according to the Economist on Nov 16. Desperate to find immediate remedies, Gaza Prime Minister Ismail Haniyeh issued new calls to Mahmoud Abbas for a unity government. “Let’s have one government, one parliament and one president,” Haniyeh said in a recent speech, as quoted by Reuters. A Fatah spokesman, Ahmed Assaf, dismissed the call for it “included nothing new.” Meanwhile, the PA decided to end its subsidy on any fuel shipped to Gaza via Israel, increasing the price to $1.62 per liter from 79 cents. According to Ihab Bessisso of the PA, the decision to rescind Gaza’s tax exemption on fuel was taken because sending cheap fuel to Gaza “was unfair to West Bank residents,” according to the times. With Morsi’s Muslim Brotherhood out of the picture, at least for now, Gaza is more vulnerable than ever. Some of Abbas’s supporters and certainly Dahlan’s may believe that the moment to defeat their brethren in Gaza is now. Of course, Ramzy, an internationally known journalist, “forgot” to note the number of rockets and missiles launched into civilian areas of Israel nor did he “recall” the kidnap and attack tunnels his dearly beloved Gaza government perpetrated on Israel wasting the funds set aside to assist their own people. Nor did Ramzy deal with the Hamas terrorists in the Sinai “picking away” at the newly installed govt. of Egypt. Gee, Ramzy, why, why, why? Gaza elected Hamas and now enjoys the “benefits.” Hopefully the electorate will be smarter next time.